Heat oven to 400°F. Line cookie sheet with cooking parchment paper. Place tomatoes cut-side down on paper towel-lined plate, and let drain 15 minutes. 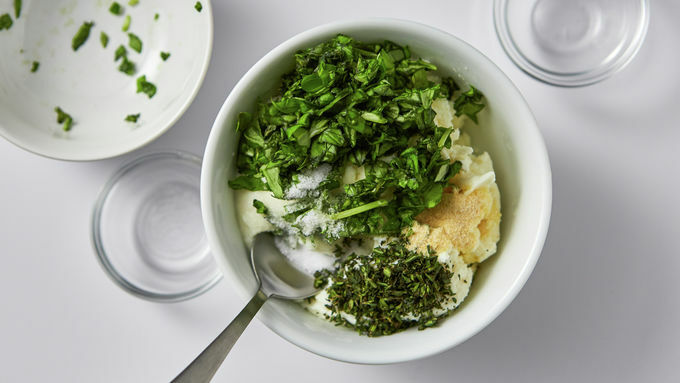 Meanwhile, in small bowl, mix ricotta cheese, 1 tablespoon of the basil, the thyme, salt and garlic powder. Unroll pie crust on cookie sheet. Spread ricotta mixture over center of crust to within 1 1/4 inches of edge of crust. 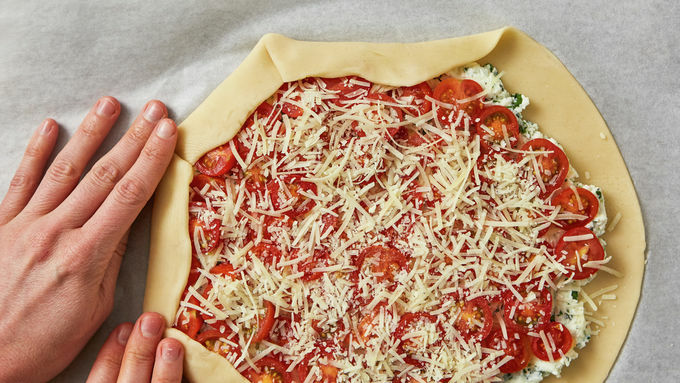 Top with tomatoes, cut-side up, and 1/4 cup of the Parmesan cheese. Fold 1 1/4-inch edge of crust over filling, pleating crust as necessary. 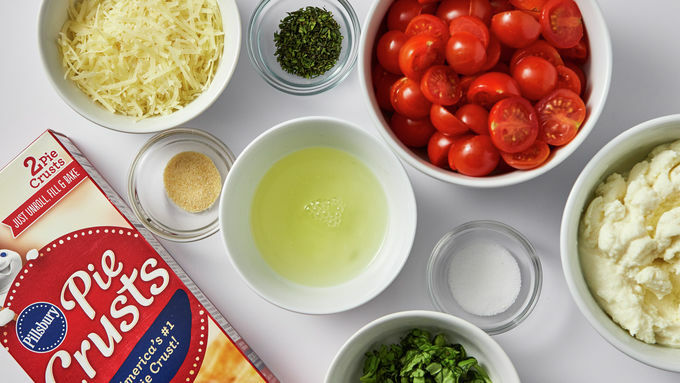 Brush egg mixture over crust edge, and sprinkle with remaining 4 teaspoons Parmesan cheese. 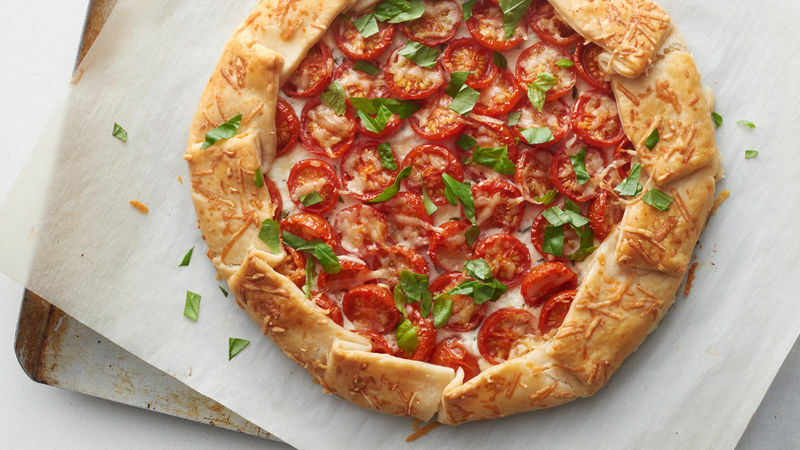 Bake 30 to 35 minutes or until crust is golden brown. Cool 15 minutes. To serve, cut into 6 wedges. Garnish with remaining 1 tablespoon basil. No cherry tomatoes? You can substitute 1 1/2 cups of coarsely chopped tomatoes, but for best results, don’t skip the draining step for the tomatoes. A galette is simply a free-form pie, i.e. 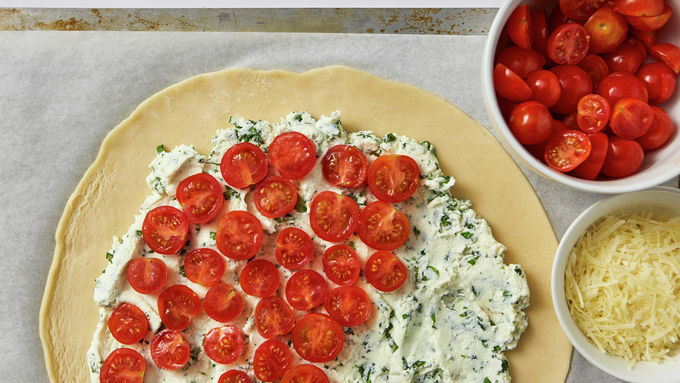 one that’s rolled out, spread with toppings—like a pizza—and then enclosed by folding over the edges. 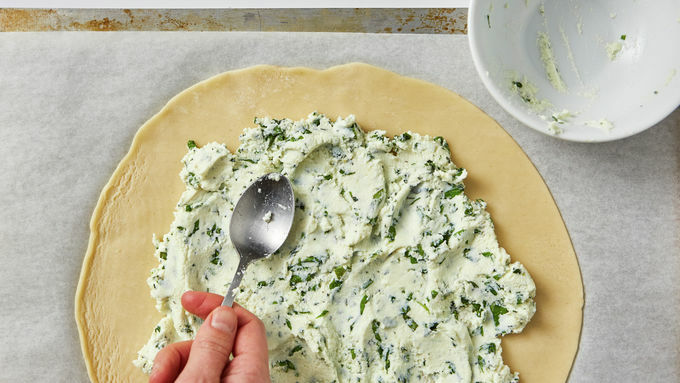 It’s one of the most intuitive ways to make a pie, and that’s why we like this style so much. If you prefer to bake from scratch, substitute with your own crust recipe or try Betty’s unbeatable Pastry for Pies and Tarts. Galettes are delicious with either sweet or savory fillings. If you’d like to try a sweet galette, we recommend our Easy Salted Caramel Pear Galette or Stone Fruit Galette.